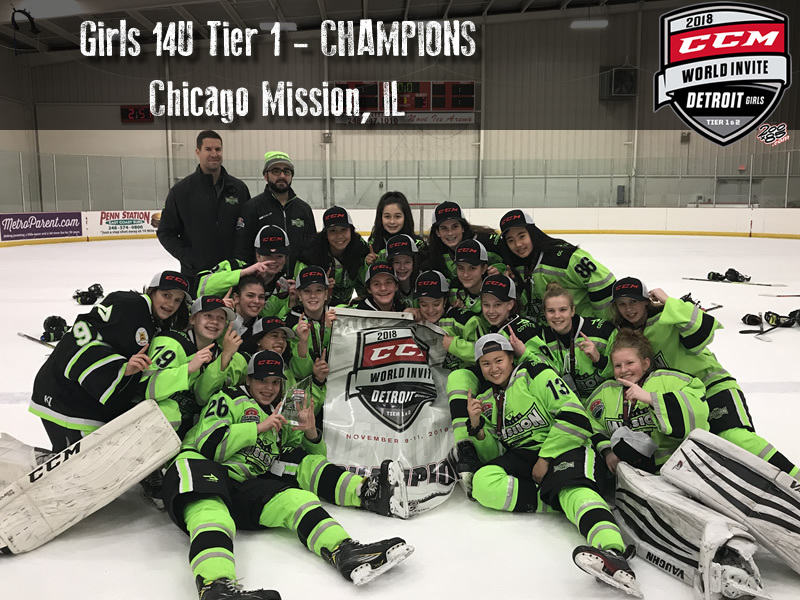 The Chicago Mission Girls claimed the CCM World Invite 14U Girls Tier I Championship title on Sunday, November 11th. Illinois girls teams also had one (1) second place finish and numerous teams advanced through to the semifinal rounds of their divisions (see below for a complete list). Congratulations to all our Illinois girls teams for their excellent showing at the 2018 Girls CCM World Invite in Detroit!